The Large Angle Basket is an all-purpose basket which will quickly become one of your most used spaces. 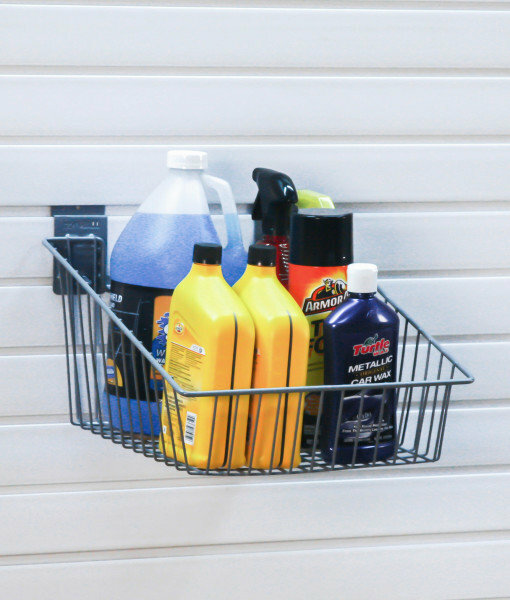 It can hold large paint cans and automotive supplies. Its angled design makes a great solution for storing albums and magazines. 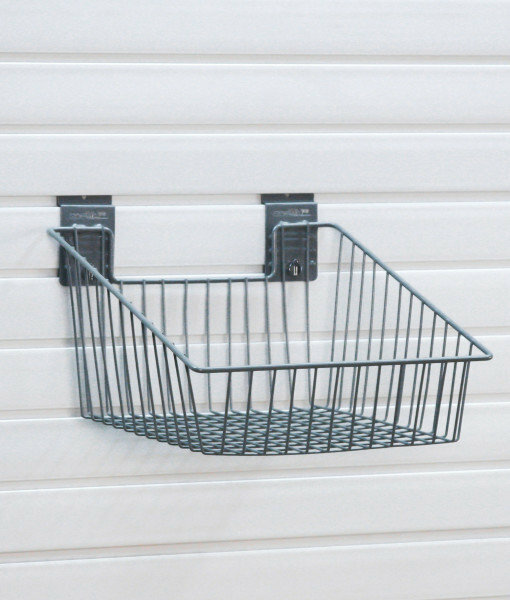 StoreWALL's range of accessories include a great range of baskets and metal mesh shelves.